In photography there are times when you can get fancy, bring out all your tricks, shoot wide open, slow shutterspeed, 20 lights, beauty dish, gels and so on. The fancy tricky stuff should be done as folio shoots, when you have time to experiment or after you’ve done the particular technique and been successful multiple times (it then becomes second nature). 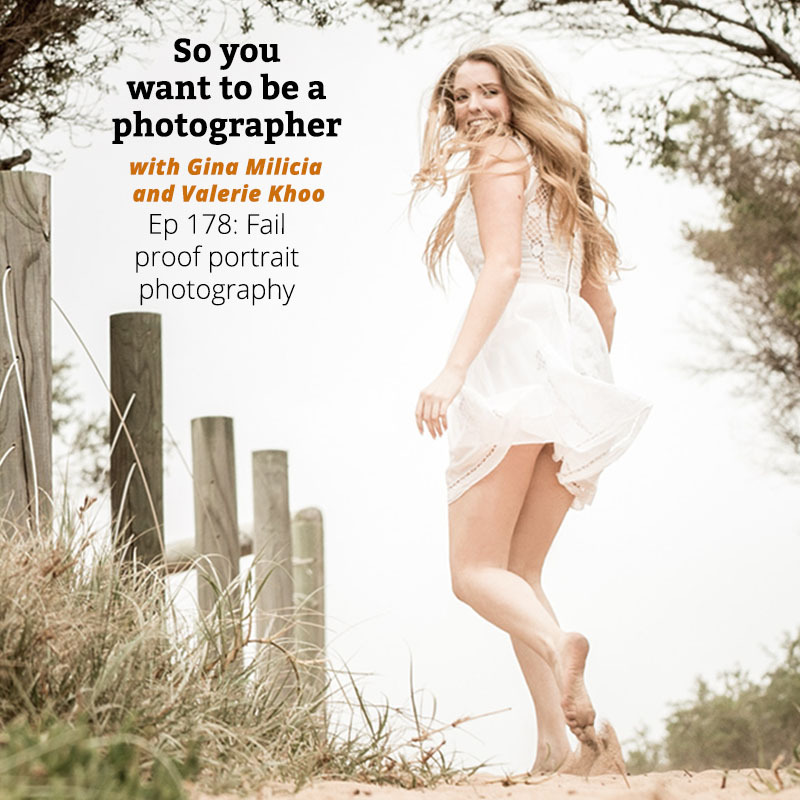 In this episode, Gina and Valerie share some of the most common scenarios newbies routinely struggle with when shooting portraits and their fail-proof alternatives. In photography there are times when you can get fancy, bring out all your tricks, shoot wide open, slow shutter speed, 20 lights, beauty dish, gels and so on.